Olamae Combellack was four years old in 1924 when she arrived in Napa from Grand Prairie, Texas, with her mother and 10 siblings. The family pitched a tent along the banks of the Napa River, across from Chinatown, and picked prunes for 25 cents a box in Mackenzie's orchard. Napa was synonymous with prunes, and prunes were everywhere, even in the heart of Napa city, on Jefferson Street, where the Grape Yard Shopping Center now sits, about halfway between Pizza Hut and McDonald's. I thought about Combellack over the course of the month that I roamed across Napa by car and on foot, met farmers and tasted local fruits and vegetables in fields and in restaurants. I ate at Farmstead, which is owned by Long Meadow Ranch, and at Clif Family Bruschetteria—the nifty food truck whose vegetables come from Clif Family Farm—where chef Magnus Young, who is half-Swedish and half-Chinese, makes extraordinary salads, such as the one with kale, cabbage, apples and pecorino. In Napa, where people either love grapes or hate them—and where vegetables are a part of an underground agricultural enterprise—I didn't meet anyone like Green String Farm's Bob Cannard, who has supplied Chez Panisse with produce since the 1970s. Nor did I meet anyone like Paul Wirtz at Paul's Produce, who grows year-round a wide variety of vegetables that make their way, thanks to Tim Page and his distribution company, Farmers Exchange of Earthly Delights, to restaurants across the Bay Area. Napa doesn't have superstar farmers, but it has young, savvy, impassioned farmers like Rachel Kohn Obut, who recently moved from Glen Ellen, where she grew vegetables at Flatbed Farm, to Napa, where she currently grows vegetables on leased land and sells them directly to members of her CSA (community supported agriculture). The owners of the land where she has carved out a garden made money in grapes and got out. Now they can afford to float Obut's enterprise. 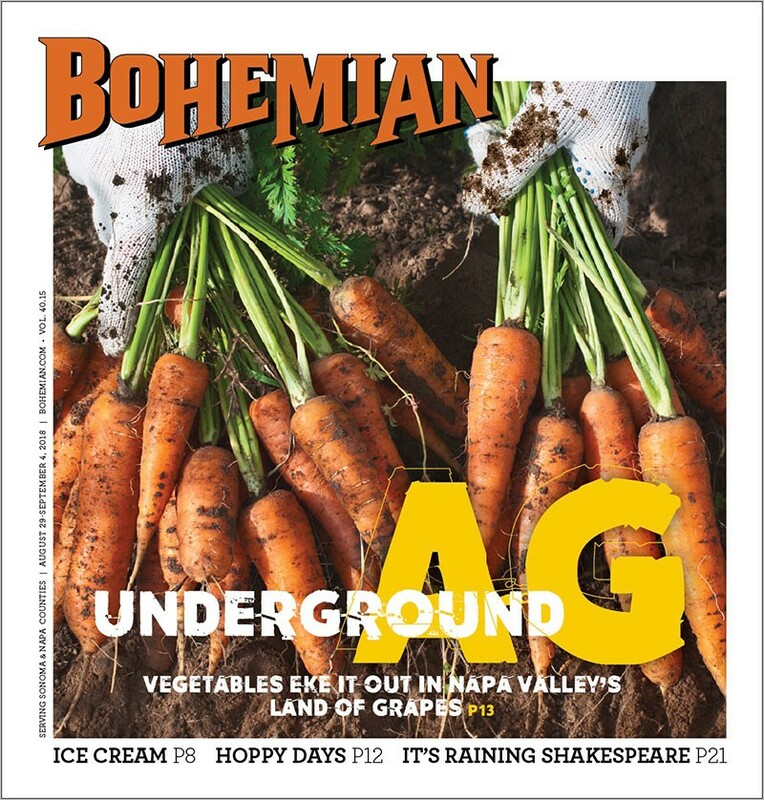 Like Obut, many of Napa's young farmers have figured out how to grow lettuce, potatoes, corn, flowers and more in a place where investors insist that land is too expensive and wine way too lucrative to do anything except grow grapes and make wine. In 2001, the year Combellack died, grapes were the No. 1 crop. Napa Valley Cabernet sold for $100 a bottle and more, and very few residents remembered the prune orchards and the Sunsweet processing plant on the corner of Jackson and Yajome. In 2018, Napa has far less agricultural diversity than it had in the 1920s, or even in the 1980s, which troubles Napa beekeeper Rob Keller, who says that "vineyards are a desert for bees," and tells vineyard managers, "Give us some land back." Assistant Agricultural Commissioner Tracy Cleveland, who commutes to Napa from Vacaville, says she couldn't imagine a day when grapes and wine would not dominate the valley. Still, the website for her agency insists that the "climate and the soils are capable of producing many types of exceptional agricultural products." It's just that the Napa Agricultural Commission and the Napa County Farm Bureau do little if anything to translate that capacity into a reality. They're too busy helping the grape and wine industries, where money is to be made more reliably than on the volatile New York Stock Exchange. CABERNET SUBSIDY Rachel Kohn Obut leases her farm from sympathetic wine-industry landowners. When I email the Napa Farm Bureau—the voice of the wine and grape industry—and ask for help with a story about vegetables in Napa, Debby Zygielbaum, who sits on the board of directors, replies, "Contact CAFF/The Farmers Guild. They might have information for you." Cleveland took over the reins at the commission when the board of supervisors recently declined to renew the contract for Greg Clark, who had run the agency since 2014. Many citizens argued that the county needed a fresh outlook, given the loss of oak woodlands and watersheds and the growth of the monoculture. 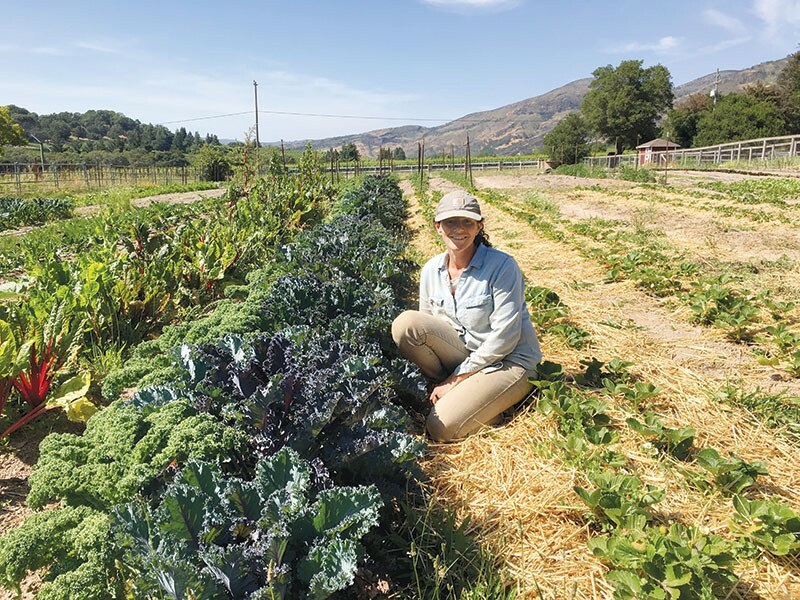 "My passion is to create a healthy farming community and to diversify ag," says Seth Chapin, founder of the Napa branch of the Farmers Guild, a small farmer advocacy and education organization. "Diversity can be a hedge against catastrophic collapse."